July is the month for big sales...I have browsed through the huge markdowns at Moroso, FurnItalia and some good deals at Kartell and Artemide c/o Dexterton. But one lighting company stands out with this sale season. Being the last day of July, this will be your last chance to avail of a very good deal from Flos Lighting. Flos has really been one of the pioneers in lighting from Italy. It's name is synonymous with B&B much so that they have an agreement worldwide to use their lighting for all B&B Italia stores. It is just the perfect match. They are celebrating 10 years after the death of legendary designer, Achille Castiglione. Some of you might not be familiar with his name but he has done a lot in the design industry at the very beginning of modernism. The Arco lamp for example is one of the most copied design all over. It is doing him injustice but in a way as they say being copied is the best form of flattery. In line with this, they are offering half-price on all his works. Such a very good deal that I succumbed to get a piece of Fucsia 1 which is only priced at under twelve thousand pesos. Though my funds are limited, this deal is hard to pass by. 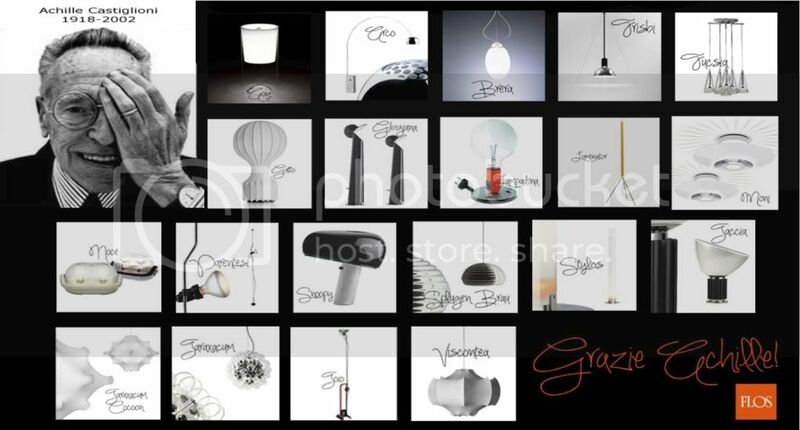 Flos is distributed by Steltz International, Inc. Their showroom is at the Serendra 2/F shops. Photo courtesy of Steltz.